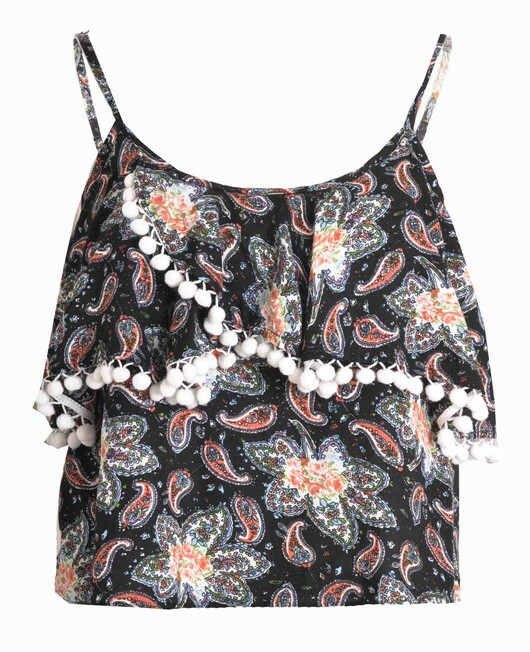 This pom pom crop camisole top from LILY LULU features adjustable straps, layered details with pom pom to the hem. 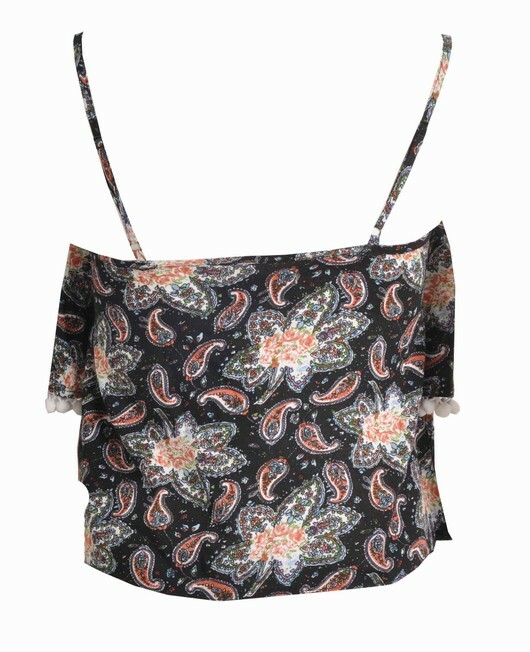 Paisley print throughout. Relax Fit.